The first thing to remember when you are faced with a diabetes diagnosis is that the only stupid question is one not asked. There are many misconceptions and changes in diabetes care. If you have a question about diabetes, you are taking a huge step in attempting to educate yourself on a much misunderstood disease. If you have a question that you have not found an answer for on our site, please email us and we will do our best to help you to find an answer. Please remember that we are not medical professionals, we can only offer support and provide you with questions that you may wish to discuss with your diabetes care team. NO, there is a genetic component but diabetes itself is in no way contagious. Type 1 diabetes occurs when the body attacks itself and the pancreas no longer produces insulin. How this happens is still a widely debated issue. For some, the belief is that once this mystery is solved, a true cure may then be found. Why couldn’t I prevent my child from getting diabetes? What did I do to make this happen to my child? Again, there is no clear evidence that you can do anything to prevent diabetes. You should not feel guilty if your child or loved one does develop diabetes. You did nothing to “cause” it. It is a chronic illness that strikes our loved ones for precise reasons as yet unknown. Can I still drive a car if I have diabetes? How much does it cost to manage Type 1 diabetes? Costs vary depending on where you live in the world, the country, and the province. In the US as of 2018, there has been a sharp increase in the cost of insulin leading to deadly results. In Canada, Diabetes Advocacy did a breakdown of costs in a post in 2015. While some of the pricing may have changed slightly, most costs should be similar. Precision meter. Speak with your diabetes team for the proper prescription and use of this meter. that urine can lag 4 hours behind blood readings. The blood strips are worth the extra cost in our opinion and make at home care much easier. Again, your diabetes team should give you specifics on ketone testing but it is advised that you watch for ketones when you have been high (over 12mmol/220mg/dl) for a set period of time (usually a matter of a few hours) or when ill.
Is your child getting worse? It is truly a myth to think that someone with Type 1 diabetes is “getting worse“. A person with Type 1 diabetes has an organ that has ceased to function. You can’t get worse than that. During such times as puberty and growth spurts for children, diabetes can often become more difficult to control as the hormones that naturally occur during these process make insulin less efficient in the body. The result is often what is considered less than optimal control. This can be dealt with by enlisting the help of your diabetes care team. Often a regimen of specific Type 2 medications, improved monitoring, counselling, and/or peer support can help to work on this problem. Can a person with diabetes eat that? Again, it is a myth to think that a person with Type 1 diabetes cannot eat like an average person. They are at a higher risk for cardiac problems and like everyone else, should try to maintain healthy meals, a proper body mass, and stay physically active. A person living with Type 2 diabetes may have a slightly more restricted diet because their body is not using its insulin properly. 40s have also been targeted by Type 1 diabetes. It knows no age limit and diabetes doesn’t care what you ate. For reasons that science has yet to pinpoint, the body will attack the beta (insulin producing) cells of the pancreas rendering a person unable to turn the food into glucose (fuel) for the body. Type 2 diabetes also has a genetic component that must be present in order to develop the disease. Obesity is viewed as a trigger but not a cause. There are people living with Type 2 diabetes that are not overweight. If you are low, do you need more insulin? No. A low blood glucose level means too little glucose (sugar) in the body and too much insulin. In this situation, a person needs you to provide them with juice or regular pop(soda) immediately as long as they are still conscious and can swallow. A low can happen when one inaccurately calculates the carbohydrates in a meal, the metabolism of their body, or their activity level. You seem awfully grouchy. Are you sure that you are not low? experiencing a blood glucose level that is out of whack. It is exceptionally annoying for those living with diabetes to be told this. It is even worse when the other person is right! They want to just be allowed to be miserable, tired, or simply have a bad day. Unfortunately, this is not a luxury afforded to someone living with diabetes. A low or high left untreated can become serious and deadly. Sadly we cannot afford to allow them to just be human, we have to push to ensure that they are safe because we care. Why do you need diet pop? Are you on a diet or something? with weight, diet pop for a person with diabetes is not an attention seeking issue but an albatross that comes with the disease. A regular pop contains too many empty carbohydrates making a diet beverage a preferred dietary choice for many. Will my son be able to father children if he has Type 1 diabetes? intensely managed individual has a reduced chance of complication including erectile dysfunction. People with Type 1 diabetes have a marginally higher chance of passing on diabetes to their children. When will their diabetes be under control? When a cure is found and they no longer have to guess at what a human body would do in a given situation. During adulthood, it is felt that diabetes is a little easier to “control” due to a more regular lifestyle and eating habits but we all know that that is not always the case. 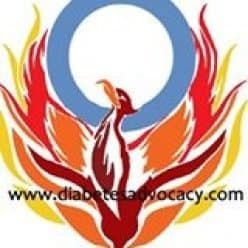 Diabetes is a lifelong fight. Good control is afforded to those who can obtain the best medical tools, support, and care. How do I stop the insulin from coming back “out” after I inject? This is such a common problem and many people have different answers. Some will tell you to pinch the skin when you first insert the needle/pen tip. Release the skin as you are injecting the insulin. Count to 10 and then slowly remove the needle. The best advice? Practice and find what works right for you. It’s a difficult game we play when fighting this diabeast. Am I the only one with this disease? have this diagnosis. Communication with my parents is ok, I have a cell, and so do my parents. I feel sort of different, but it’s ok. I don’t know if when I go to college, I might faint and maybe people won’t know why.“–From Diamond – 9 at diagnosis, now 13 yrs. You are not alone. Millions of people worldwide live active lives with diabetes. If you are feeling alone please look to family, support groups and friends. In some cases, counselling can also be a huge help to develop a healthy attitude towards type 1 diabetes. There are many online support groups on Facebook, Twitter and Instagram. Companies like www.childrenwithdiabetes.com , iChallengeDiabetes and Connected in Motion also host regular conferences and events that offer support for people with diabetes of all ages. Your diabetes team may also be able to help you to find a local support group or mentor to lean on. How do you deal with school? Sadly how you handle school and options available once again depend on where you live. If you live in the US, it is most important that you have a 504 plan put in place for your child. In Canada, there is not that option. More and more schools and boards are willing to learn and accommodate for their children with diabetes but you must be willing to educate them and yourself. Go to our Getting Ready for school page and use some of our resources. See if your school has a diabetes care policy in place. If they don’t suggest that they adopt one similar to what Diabetes Advocacy has suggested. Be informative, not hostile. Teach them the realities of diabetes and make sure that you are there to offer support and guidance. A schools’ job is to provide the same care as a parent could reasonably be expected to provide. Please remember however that there can be union issues that also must be dealt with. Also, many administrators may not be aware of the options available to them or your child. If you have further questions, we are always willing to help you through the process. How soon before you can leave your child with diabetes with a babysitter? That is a personal choice. If you have a caregiver that you trust and who is willing to learn, it can be done at any time. The most important thing is to have a link to your child at all times (a phone number where you will be or cell phone) and a responsible caregiver who is confident and knowledgeable. Snacks can be pre-measured ahead of time. Insulin doses can be written out. Make sure he/she understands testing and interpreting the results. Most importantly, make sure that they know how and when to use glucagon. How do you deal with play dates for children with diabetes that are at someone else’s house? child with diabetes! This is not always the case. For a younger child, you may feel the most comfortable being in attendance anyway. As the child ages, ensure that they understand the basics of their care. Try to ensure that the parents at the other home are versed in the basics of diabetes care. Make sure that your child can always be reached. Teach your child at the earliest age to always carry their supplies–meter, glucose, and/or snacks. Will I ever understand any of this? Learn from others with the disease. Research. Join support groups. Attend conferences, forums and other information sessions. Go to your diabetes care team with questions. They are there to work with you. Give yourself a break! Type 1 diabetes means that a vital organ as stopped working. It is suddenly your job to be a pancreas. You aren’t God or any supreme being. You are only human and can’t anticipate all activities, stressors, or metabolic rates. All you can do is try your very best for yourself and for your loved ones. Will I ever be “in range”? Sure for a few minutes or even a few hours in which you will dance and scream with joy! You will swear you have this disease licked and then after being lulled into a false sense of security things will be out of “range” again! In all seriousness, you will do your best and you will learn that that is all that you can do. The more you can test, the more you learn about diabetes, the better control you will achieve. Life will throw you curves at all times. Don’t beat yourself up about it. Try to be proactive. Learn how your body reacts to various foods and activites. Figure out your carb to insulin ratios. Ask your diabetes team to help you understand how your insulin regimen works. Remember that controlling diabetes is like driving your car down a windy road steering from the backseat using only elastic bands. How can you inject a needle into yourself/your child? Very easily when you know that that is the only thing that stands between you and death. But isn’t there a cure? We wish! Scientists are working on many theories and there are great new treatment options. The Bionic Pancreas project has the iLet system. Medtronic has released the 670G hybrid insulin pump. Tandem has the t:slimX2 with Basal IQ and then there are the innovators who have created their own closed loop system. Sadly, no true cure exists but organizations including the Diabetes Canada, the Juvenile Diabetes Research Foundation and the Diabetes Research Institute all continue to work towards finding a cure for diabetes. Until that day we will work to educate, advocate, and fund research to learn more about causes, complications, and possible cures. can be given one day instead of a slice of bread. A snack-sized chocolate bar is often the same value as a “fruit” exchange. exchange it for a toy or treat that they really want. Count your carbs, dose accordingly and remember to use moderation. No one needs to eat poorly. Healthy treats such as angel food cake instead of heavy pound cake or a plate of fruit instead of bowls of chips are always better for everyone. At children’s birthday parties, allow your child to be a child but again teach them moderation. Even children on MDI can often use a small piece of birthday cake or hot dog instead of their regular 25 g CHO snack. If the parents do not think to provide sugar-free drinks, bring a bottle of diet pop/soda with you, or a singles pack of Crystal light or other sugar-free drink to add to a glass of water. You would be surprised to learn how many other parents are looking at healthier parties for their non-D children. Talk to the parents ahead of time and see what they have planned and when so that your child can fully enjoy all that is going on. amputee is likely to regrow a limb. Will their lifespan be shortened? That is individual like most things. A person with diabetes is much more likely to have cardiovascular disease. Without proper care, they are more likely to develop kidney failure, blindness and limb amputation. Today’s intensive therapy gives us hope that those living with diabetes today who have access to the best of diabetes care will live long and productive lives. How will I be able to “literally” keep my child alive? With hard work, testing, injecting, and careful monitoring. What happens if I do something “wrong”? emergency number of a mentor or doctor nearby. How will this affect the rest of our lives? In some respects, it will impact every part of it and in others it will simply become another part of your life. Your life will change but you will do your best to ensure that it doesn’t take over all of your life and you work to live each life to the fullest despite having this unwelcomed visitor in your home. Will my child be able to do all that things that he dreamt of in life? to enter. The rules and restrictions are changing each day. Allow your child to dream as you never know what new opportunities might be there for them when they reach the age to make that career decision. How will I hold my family together? As will any chronic illness, diabetes does put a serious strain on a family. Counselling and an open dialogue between all family members is the only way to keep a family strong and together. What do you do with expired Glucagon? kits are for retraining. Make sure that everyone in our house knows how to administer Glucagon to the person living with diabetes. The more they practice, the better prepared they will be in an emergency. editor of this site is NOT a medical professional. Any advice or information you may receive through this website or our mailing lists are not guaranteed and should always be discussed with your health care provider. All links are provided for your convenience and further do not signify any endorsement on our behalf.